Over the past several years researchers have begun to discover the enormous magnitude of influence that the human microbiome holds over general health and disease progression. In particular, the human gut is home to over 100 trillion microbes that dynamically change over the course of an individual’s lifespan and directly affect a large number of biological systems throughout the body. Now, a team of researchers at the University of Colorado Boulder have discovered that exercising early in life can alter and improve the microbial community in the gut, promoting healthier brain and metabolic activity over the course of a lifetime. The investigators' results describe a scenario with a window of opportunity during early human development for optimizing the chances of better lifelong health. Shortly after birth, bacteria take up residence within an infant's intestinal tract to not only aid digestion, but to assist in the development of the immune system and various neural functions. 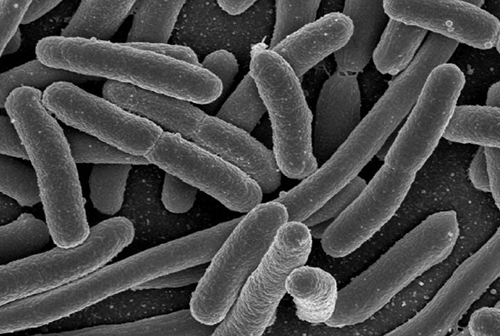 Interestingly, these microbes can add as many five million genes to an individual’s overall genetic profile—exerting tremendous power to influence aspects of human physiology. The current study found that juvenile rats who voluntarily exercised every day developed a more beneficial microbial structure, including the expansion of probiotic bacterial species in their gut, when compared to both their sedentary counterparts and adult rats, even when the adult rats exercised as well. While the investigators have not isolated an exact age range when the gut microbe community is likeliest to change, their findings would suggest that earlier is better. “We emphasize the ability of exercise during this developmentally receptive time to promote optimal brain and metabolic function across the lifespan through microbial signals,” stated the authors. The CU-Boulder team also noted that a robust, healthy community of gut microbes also appears to promote healthy brain function and provide anti-depressant effects, a concept supported by previous works showing that the human brain responds to microbial signals from the gut—though the exact communication methods are still under investigation. “Future research on this microbial ecosystem will hone in on how these microbes influence brain function in a long-lasting way,” remarked lead author Agniezka Mika, a graduate researcher in Dr. Fleshner’s laboratory. Looking ahead, the CU-Boulder scientists plan to explore novel means of encouraging positive gut microbe plasticity in adults, who tend to have stable microbial communities that are more resistant to change.